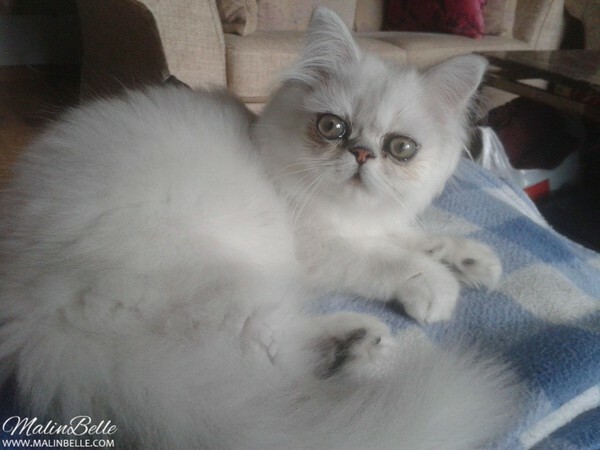 Pika is a silver shaded Persian cat and he's 3 months old. Pika is born on March 16, 2013. I decided Pika's name and it's pronounced like “Piii-ka” in Swedish and “Pee-kah” in English. I've had Pika since yesterday evening. ♥ My Dad drove me and my Mom to the breeder where we looked at him and then we bought him right away and took him home with us. We bought Pika from Yamacatos Cattery. Check it out if you're curious or interested.